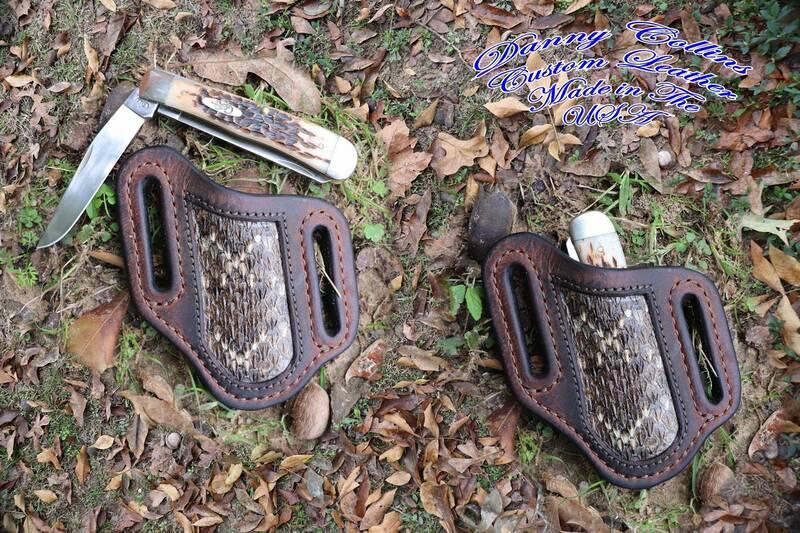 This knife sheath was made here at my shop in Oklahoma from top quality buffalo leather and inlayed with genuine rattle snake giving it a unique look and feel. The sheath is lined with the finest American made veg tanned leather available insuring it will last for years. This sheath fits a larger folders like the Case Trapper and other similar sized folding knives. SHeath is left side carry.